Ska is a fight against bad vibes. No other music so reliably lifts the burdened soul or gives life to heavy feet, and still leaves room for a clear political message. 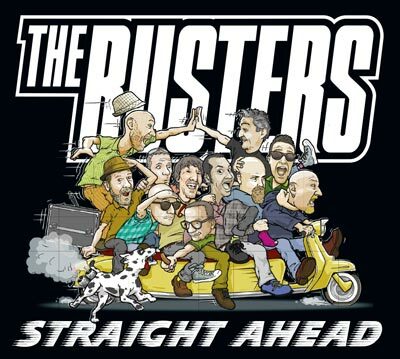 THE BUSTERS’ journey continues, unimpeded, and after 17 albums and 31 years the course is still unmistakably clear: Straight ahead! 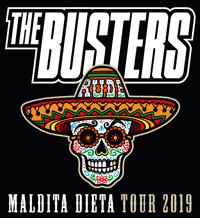 STRAIGHT AHEAD, the new album from THE BUSTERS, has 17 fresh new tracks, featuring Joe Ibrahim, from the Heidelberg band, “Megaton”, as the new front man, together with Richie Alexander, to set the stage. As always, THE BUSTERS still deliver an unmistakable message. They still reign supreme in the world of Ska, as did their idols Bad Manners or Laurel Aitken, with whom they played back in the day. The band from Wiesloch runs deep, and their rich variety pays off musically. As a precautionary measure, sensitive souls should keep a safe distance until the 22-armed goddess of Ska has ascended in a cloud on the band-scooter. For those brave enough, for those looking for the real kick, put on your shades, load up Straight Ahead, and put the pedal to the metal! CD in DigiPak with 17 new songs / booklet with all lyrics / poster—only in the initial release!